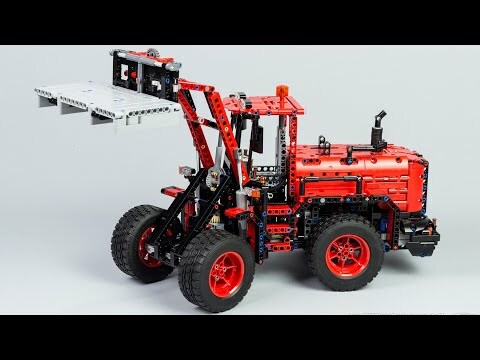 A lego Trial Truck based on Mongo Heist Truck from Fast and Furious, features drives, steering, adjustable bodywork and two remote speed gearbox. After some modules of GBC, I wanted to return to vehicle, especially trial truck. I have planned to build for a long time ago a trial truck version of the Mongo Heist Truck from Fast and Furious movies. Here it is. The trial truck is equipped with two XL Motor and 4×4 drives with differential. I have add a simple remote two speed gearbox, enable good speed and more torque when it is needed. It works simply with a linear actuator which pushes the group of two XL with different gearing, no use of changeover cacth and driving ring here and enables a quick switch. The gearing is : XL motor : 12/20 or 16/16, 20t/differential, and 8/24 in portal hub live axle. The steering is operated by a servo motor placed in the front axle. The original functionality here is the adjustable remote bodywork. In deed, it can be raise for more climbing abilities, and fall down to have lower center of gravity in downhill or toward. The whole bodywork is mounted on slide and connector rod on each side, which is connected to a linear actuator on the front, powered by a M motor. Thank to this, the bodywork is raised in parallel way using a parallelogram structure. The two battery box are placed each side of the frame to balanced the weigh. The frame is build on a simple U frame on the center and counter force leg to maximize the rigidity where the high travel suspension is attached. The whole model is quite heavy (around 2kg), but still powerful thanks to the two XL motor. The design is quite detailed with a equipped cabin with steering wheel, interior, seat, light and dashboard. Behind, there is two massive exhaust connected with ribbed hose on the center of the frame, no fake engine because of the room available, taken by the adjustable bodywork system. The two IR received is located in the back with a cosmetic chamber to hide them. I have tried to reproduce the style of Mongo Heist Truck with some adjustement regarding the light and reinforcement iron tube on each side. Hello, thank you. sorry but all picture and video I have is on my blog. 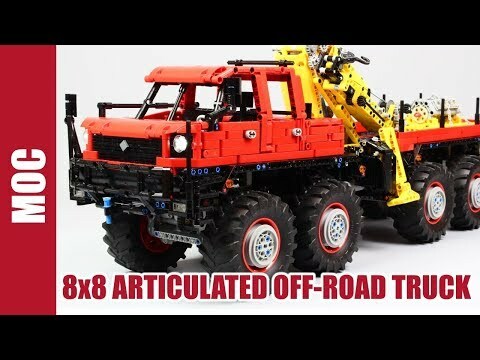 Dear Nico71, I indeed like this wonderful moc and i intend to build this one according to the posted photos by you. 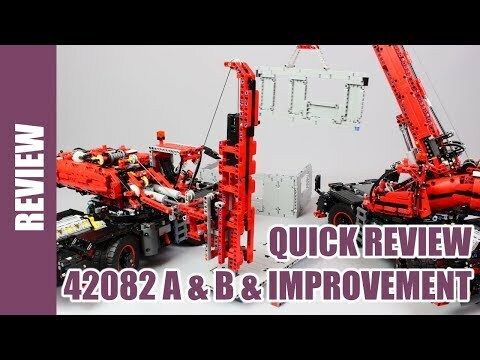 However, I have some question about the 2 XL motors-part and the M motor under IR receiver, as well as the servo motor… Yes, I am a fresh lego lover, not to familiar with the PF instructions, so could you send me more detail photos of this MOC? thanks so much and have a nice day. Hello, yes one XL for one IR receiver, a IR receiver can handle power consumption of two XL, especially when there are quite stalled. Also, you can have one battery box per IR receiver, it is not obligatory but better for battery autonomy. Bye. I got inspired by your model to build my own trial truck. 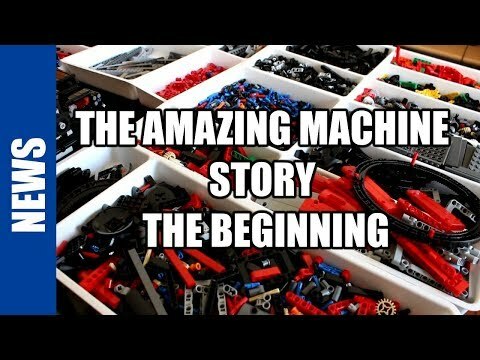 I really liked the way you built the chassis. I decided to use 2 XL motors, but with one battery box and one ir receiver v2. The gears are 16/16, differential and 8/24 on portal axles. The motors are not coupled: one powers the front axle and the other the back. I have only the chassis built and have done some indoor tests. Unfortunately, it runs for a few seconds then it stops, like it loses its power. My first thought is that one ir cannot run two XL motors. In your model I see the you have two bb and two ir. 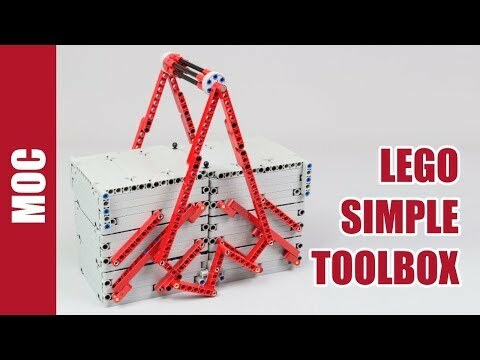 How did you connect the motors? On separate bb/ ir?